I applied months ago when Glam Sense was first announced by Topbox. 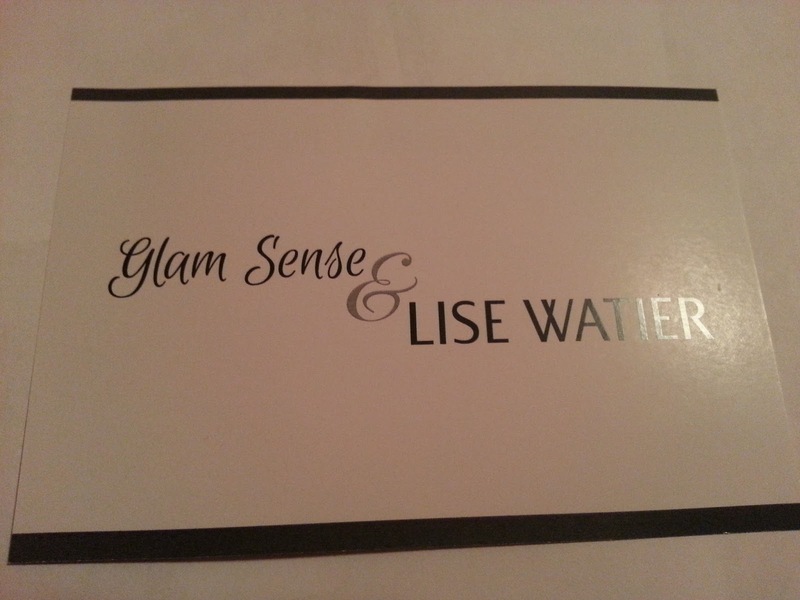 They started to roll out some campaigns and I was finally picked for Lise Watier - HydraForce. Excited is an understatement. If you've been following my blog, then you know my struggle of having dry skin, and finding the perfect moisturizer/cream for my face. This campaign couldn't have come at a better time since it is still so cold in Ontario, and my dry skin is still pretty dry! I'm even thinking my skin may be dry, and dehydrated. But that's another story! Canadians from every province were picked to be in this campaign, and they rolled each province out at different times. People in BC or Alberta received theirs before we did in Ontario, and other provinces such as Nova Scotia had to wait a little longer. This was because there were Lise Watier events being held throughout the campaign in which we were to attend. 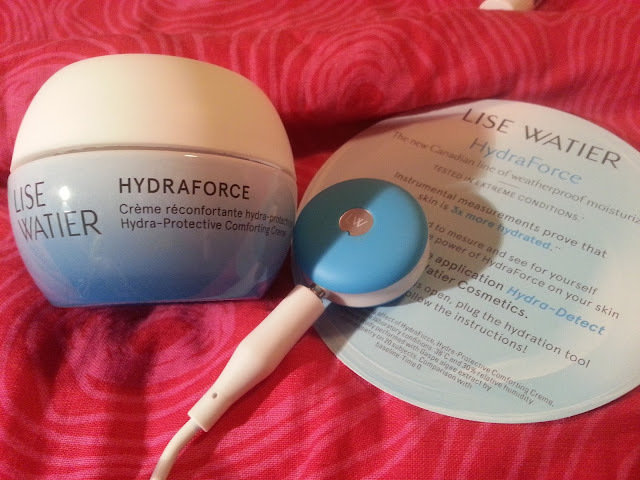 We were all sent a full size jar of the Lise Watier - HydraForce - Hydra-Protective Comforting Creme. Along with a product card, and a neat little hydration tool. This is the hydration tool that we were all provided with. 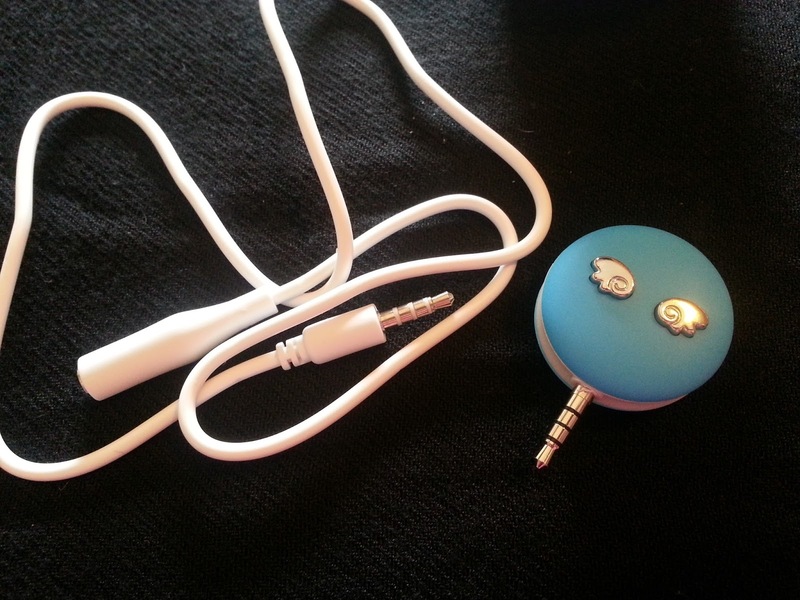 The blue device gets plugged into the white cord, and then the white cord gets plugged into your headphone jack on your phone. You will have to download the free application called Hydra-Detect by Lise Watier Cosmetics - but it takes seconds, and I've already mentioned, it's FREE! You can find the app on the iOS App store, and Android Google Play Store. 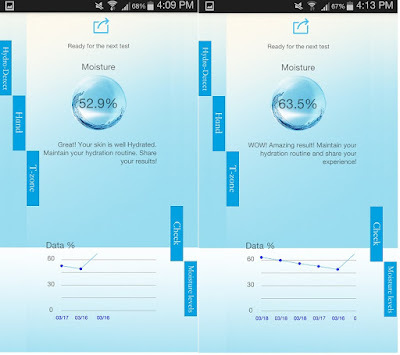 The device and app measures the hydration levels on different areas of your skin. 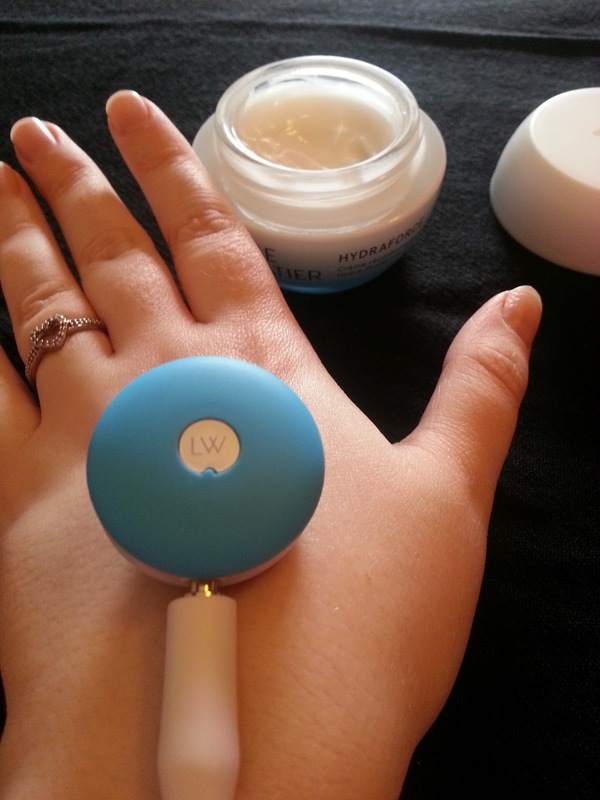 First you test your skin hydration levels before applying the creme. This will tell you if your skin is dry, and what the percentage is. Anything lower than 45% is considered dry. After applying your creme, you check your hydration levels again, and you will see if the creme has made a difference at all. The three spots we were asked to measure were our hands, t-zone, and cheeks. Upon opening, this looks like a cream-gel hybrid. I'm not always a fan of this formulation because I don't feel it is hydrating enough for my skin. However, after sticking my finger in, I could tell that this wasn't really a gel formula, and it felt light but very moisturizing. The first place I applied the creme to was my hand. It felt so nice! The cream also has a light flowery scent to it. I could see some people wouldn't like it, and I personally am not a huge fan of scents on my face, but it didn't seem to irritate my skin at all, and the scent disappeared after a few minutes. As you can see it's some what thick, but also thin. If that makes sense!? Anyway! It hydrates really well without being too heavy or greasy, which I know people really hate. For myself, I don't really mind, but when it feels like this, it feels so wonderful! Just for a quick picture, you can see how easy it is to use. I do use my other hand to hold it down to get an accurate reading, but for picture purposes there is no pressure being applied. Nothing technical here! Let's get into the readings! - Let me just say though, I did get a little excited the first day I received this, and tested all the areas lol. So the chart on the bottom may not be as accurate as it should really be. I will be looking at the percentage differences. The first reading I got on my hand was 37.5%. It says "Your skin is a little dry. Apply HydraForce and test it again." Which is exactly what I did. After applying the creme and letting it soak in for a few minutes, the reading I received was 50.6%. Wow! I was impressed. 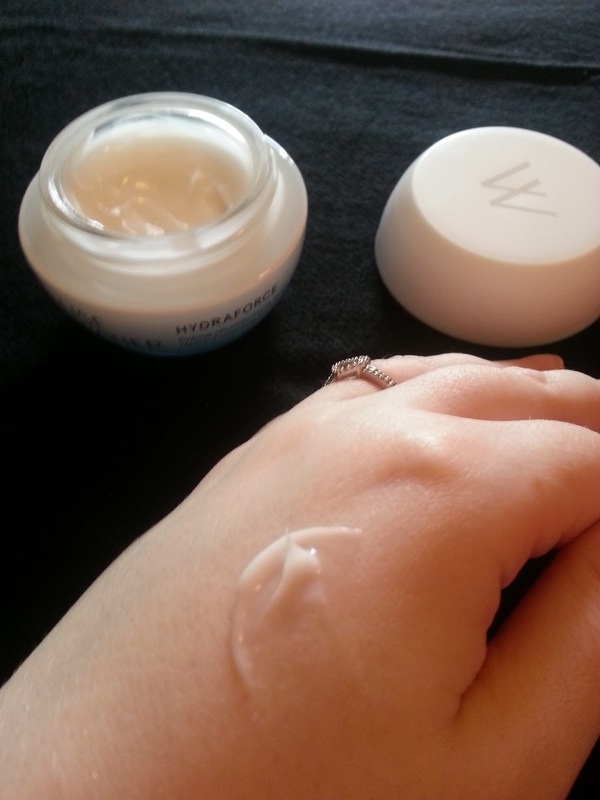 It took very little time to absorb into my skin, and look how much added moisture it gave me! I couldn't wait to test this on my face! The first reading I got on my T-Zone was 51.8%. 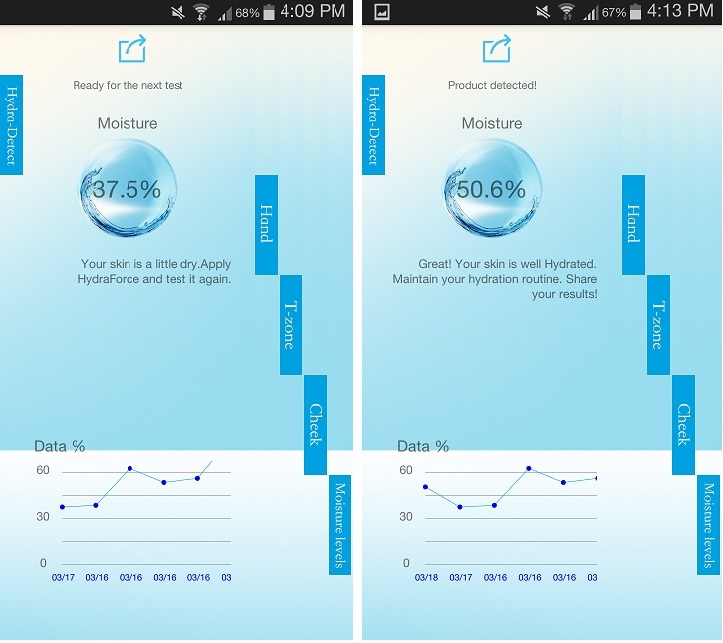 This was really shocking to me because my skin feels so dry sometimes, yet according to the device, my skin isn't that dry at all. The little blurb underneath says "Great! Your skin is well Hydrated. Maintain your hydration routine. Share your results!" Even though it says my skin was hydrated, I still decided to apply the Lise Watier creme, because this is what this campaign is all about. My hydration level jumped up to 63.8% "WOW! Amazing results! 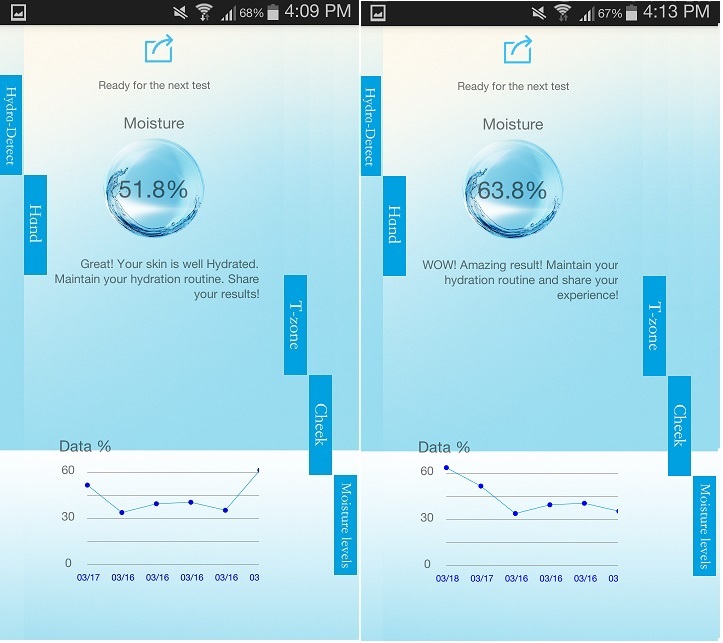 Maintain your hydration routine and share your experience!" - amazing! I can't get over how hydrating this creme is! My cheeks are one area that ALWAYS feel dry to me. I can apply moisturizers, serums, essences, emulsions, night creams, what have you, and I will always wake up to dry (feeling on the inside) cheeks. I thought for sure, this test would come back super dry. 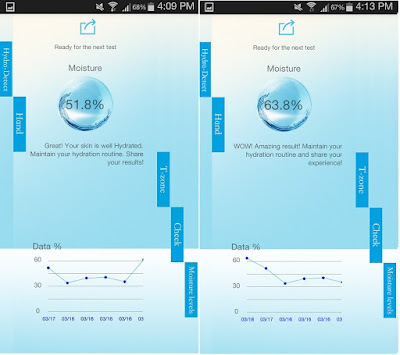 But to my surprise, the first test came back saying my cheeks were 52.9% moisture. "Great! Your skin is well Hydrated. Maintain your hydration routine. Share your results!" - again, because I feel dry on the inside (seriously, I drink so much water, I don't know why it feels like this sometimes!) 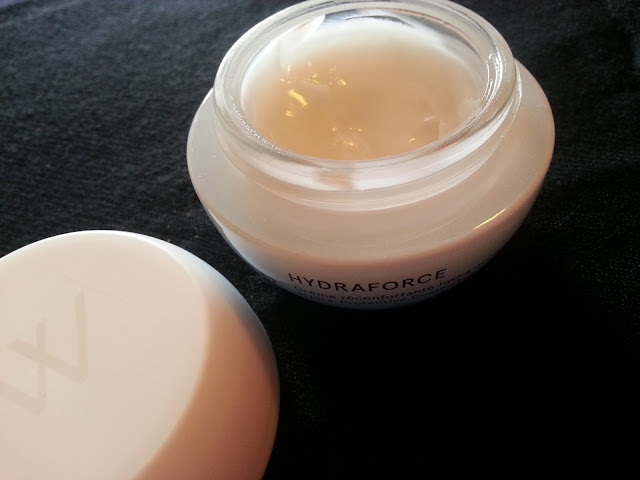 I applied the amazing feeling HydraForce creme, and my results jumped up for this as well! 63.5%! "WOW! Amazing result! Maintain your hydration routine and share your experience!" I have to say, overall, I am very impressed with this creme. After applying it, my hydration level increased, every time. Not only does it feel great on my skin, it also applies great, and soaks into your skin really quickly, giving dry skin very quick relief. Every time I apply this, I can feel my skin drinking it up, and it makes my skin feel so soft. This really is great for our extreme Canadian winters. I can't get enough of this stuff! I even apply it twice a day, it works great under makeup as well! Lise Watier is holding events all over Canada to promote this awesome new line of skincare. And YOU can be a part of the HydraForce Squad by attending! 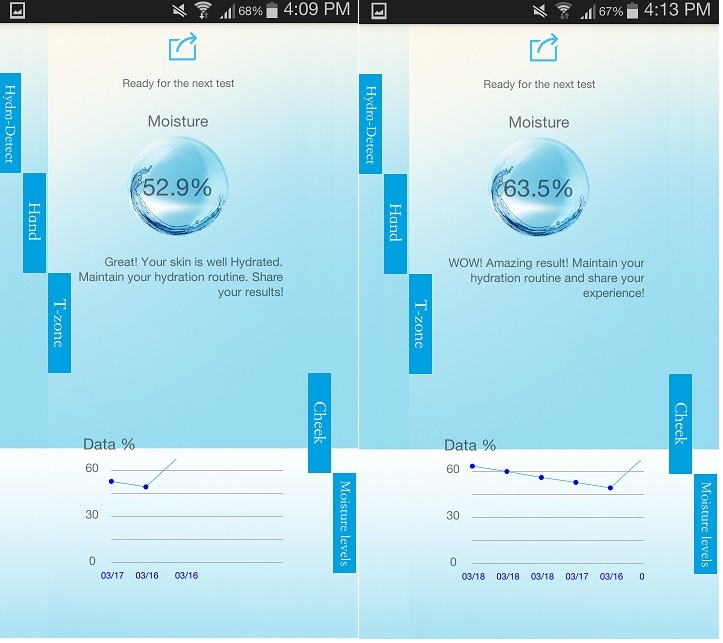 At these events you can test out the Hydra-Detect device, and get a reading on your own skin. You also will receive a free sample! Unfortunately, the event is not being held close enough to me that I will be able to attend, but if I have any readers in the Toronto area (well, I should say GTA) that can travel to Newmarket, the event will be held on April 2nd. Test your skin’s hydration and leave with a free sample! - You can also #GETINTHEBUBBLE! I loved this creme!! And I love the little hydration device! Me too! I love the idea behind it, and it was really fun playing around with it and seeing the different moisture levels!